Successfully Added HK Warehouse UMIDIGI G Smartphone - 4G, Quad Core CPU, Android 7.0, Fingerprint Scanner, 5 Inch, Dual SIM (Black) to your Shopping Cart. 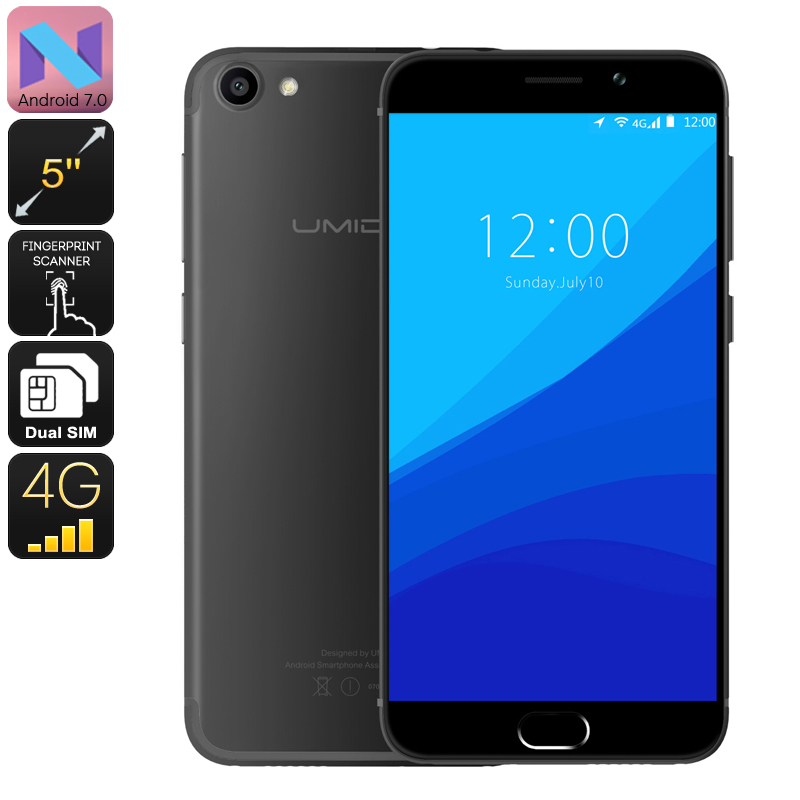 The UMIDIGI G is an aesthetically delightful phone that mimics the sleek stylish curves and looks of the iPhone 7 but comes at a small fraction of the price. This design-conscious offering has a polycarbonate and metallic feel and at a mere 135 grams, it's a lightweight phone with a flagship look. Surprisingly the UMIDGID G offers fingerprint ID access which is fairly rare in such a cheap phone. This offer single touch access without any codes or passwords. This budget phone is powered by a quad-core MediaTek CPU and 2GB RAM. Along with the Mali T720 GPU, you'll have a smooth performance for games and multitasking. 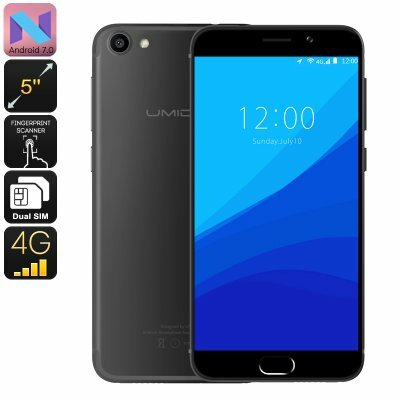 The UMIDIGI G Smartphone comes with 12 months warranty, brought to you by the leader in electronic devices as well as wholesale Android phones and cheap phones..